Feistodon is here, and as you might have guessed, it’s a beast. 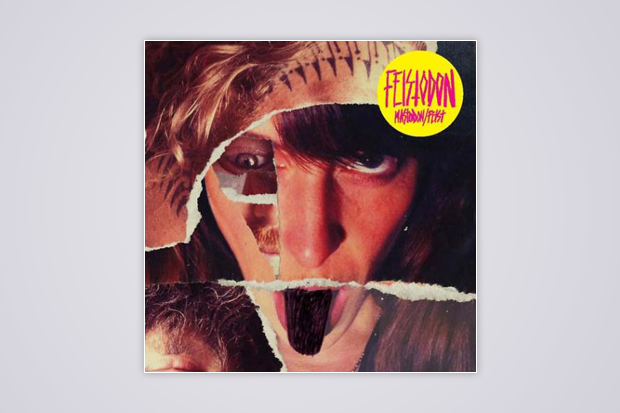 Feist and Mastodon’s covers of each others’ songs, available as a 7″ single for Record Store Day this Saturday (and featuring some thoroughly badass cover art), have surfaced online, via Listen Before You Buy. Who’da thunk: The Canadian singer-songwriter makes aggressive The Hunter pummeler “Black Tongue” her breezy, bouncy own, albeit with more than her usual grit, while the Atlanta metalheads do similarly with Feist’s off-kilterer-than-usual Metals (hey!) racket-maker “A Commotion,” seizing on the song’s insistent pulse and throttling it half out of its mind. “The grudge has still got your heart,” the prehistoric fellas repeat, maybe a touch more sweetly than usual. Match made.